Enjoy the top 31 famous quotes, sayings and quotations by Michael Ealy. I would love to direct but I feel like directing is a whole separate craft and so I tend to respect it as a separate craft that I would need to study first. So, right now I'm still trying to do certain things as an actor and until I get bored of that or I feel completely fed by that then I'll move into directing. For the most part, I meet people who are like 'I really like your work. I'm watching your career. I want to see you do well. Keep doing what you do.' I get that so much, and it's so reassuring. I often wish that so many people, who just work normal jobs, could get a pat on the back as much as I do, because it's very complimentary. I've always thought vampires were interesting because they live forever, they're always well-financed, they dress well, you know what I mean? And they're, like, cool. Usually vampire - you've never seen a broke vampire. Have you? I honestly think I'm just an actor. It doesn't matter the medium. I can go on stage and be happy, I can be on TV and be happy. If you look at a lot of people's careers, the first couple of movies, usually, are the most embarrassing. There are good and bad times in a relationship. You start to understand more about how a relationship can go awry when two people spend too much time together. 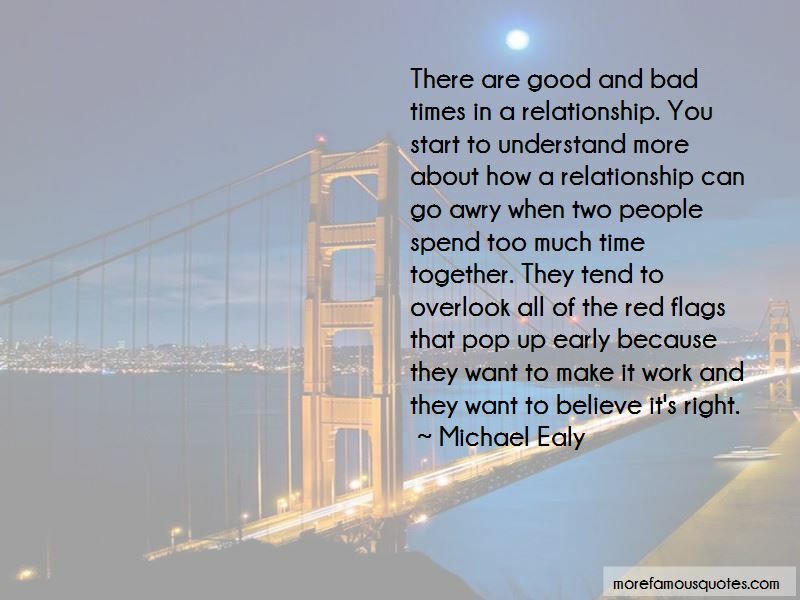 They tend to overlook all of the red flags that pop up early because they want to make it work and they want to believe it's right. Giving yourself over to the fine line of a human-like droid means that sometimes you make choices that don't make you feel good, as an actor, and you have to learn to embrace that. No actor will tell you that that's a good place to be. 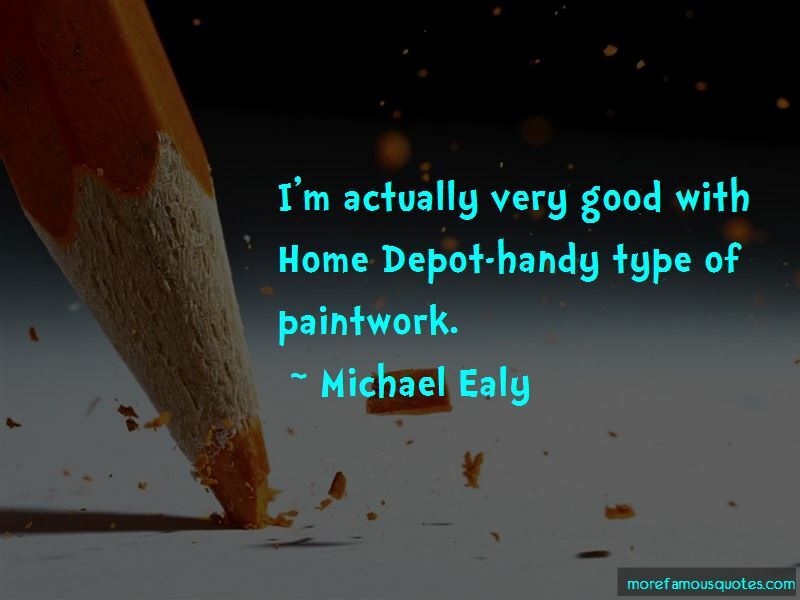 Want to see more pictures of Michael Ealy quotes? 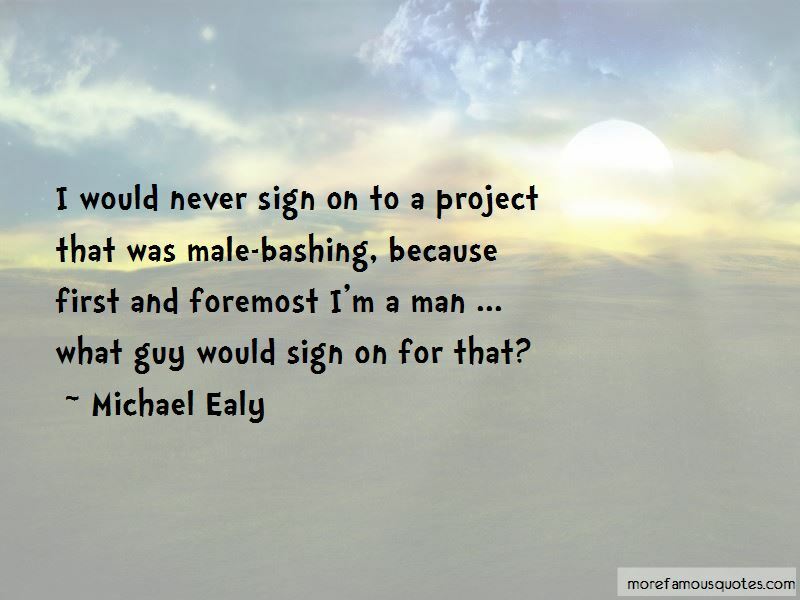 Click on image of Michael Ealy quotes to view full size.